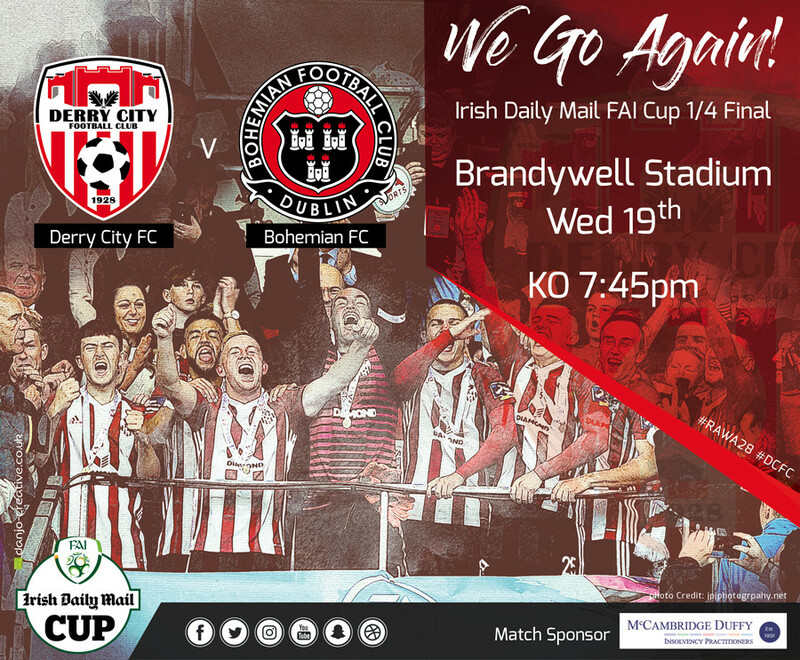 Off the cusp of an 11th League Cup honour the Candystripes welcome Bohemians to the Brandywell for an FAI Cup quarter-final on Wednesday. Cobh Ramblers Chris Hull equalized after Ronan Hale opened the scoring during Sunday’s final, however second-half goals from Darren Cole and Aaron McEneff led Derry to glory. The Foylesiders must now turn their attention to the FAI Cup for a meeting with a revitalised Bohemians. Derry had won 10 matches out of 10 under Shiels against Bohemians prior to their last meeting. The Candystripes have no suspensions heading into this one but Conor McDermott is still recovering from a hip injury after having successful surgery. Meanwhile, it’s not yet known whether Nicky Low will feature with the Scot having returned on Sunday as a second-half substitute. After jubilant scenes on Sunday can a bouyant Derry side reach another cup semi-final or will the Gypsies rain on their parade?